Properly anchored footing being installed to replace footings which had no rebar and no hurricane and earthquake protecting straps. 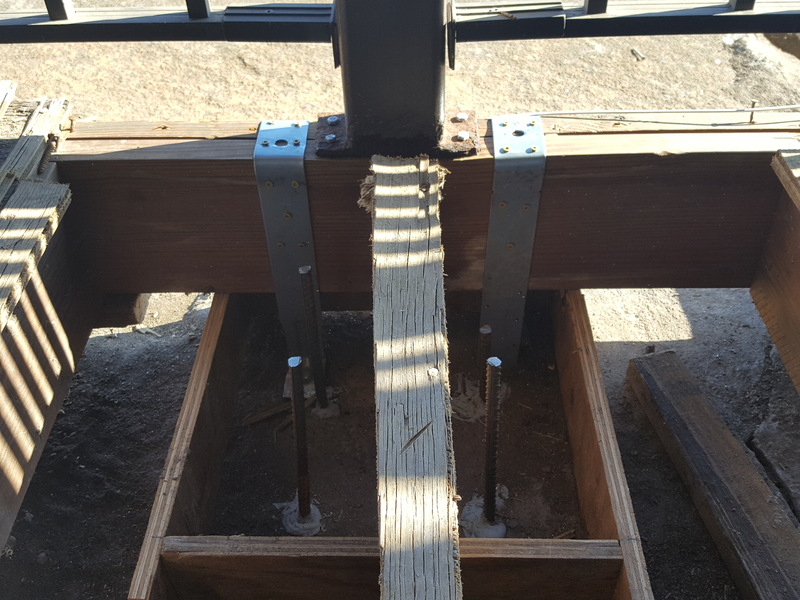 The deck post in the center is improperly secured and needs new attachment plates to meet code requirements. Our company runs across work being done improperly and dangerously too and is hired to replace this work with the correct code compliant solutions.